The Diaspora Yeshiva Band’s historic 1982 Concert on the roof of King David’s Tomb on Mt. Zion, Jerusalem. Re-edited to include never before seen footage and interviews. 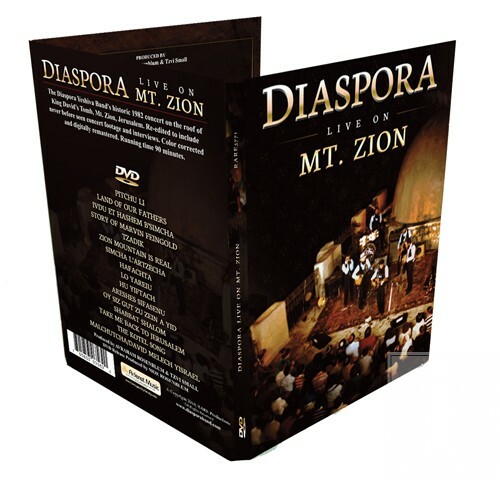 Color corrected and digitally remastered.A true piece of Jewish music history for those who were there during the 70’s and early 80’s, and those who will never have the opportunity to experience the energy of a live Diaspora concert. Running time 90 minutes.